In collaboration with analytics firm Statista, Forbes asked 50,000 employees working for large U.S. companies and organizations to evaluate their employers and provide their impressions—positive and negative—of other companies in their industry. The anonymous, voluntary survey included 35 questions about work-related topics such as working conditions, salary, potential for development, and company image. Survey recipients were also asked to rate how likely they were to recommend their own employer to others. Booz Allen has received several other recognitions from Forbes, including America’s Best Employers for Diversity, Best Employers for New Graduates, Best Employers for Women, Best Management Consulting Firms, and Top 15 Employers for Veterans. 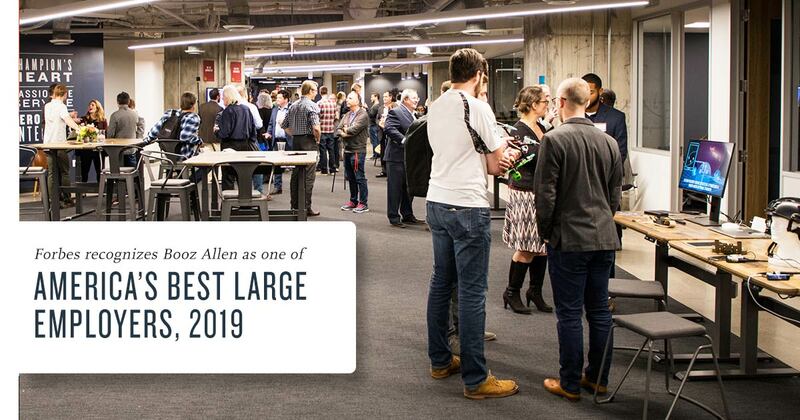 View the rest of the Forbes America’s Best Large Employers list and learn more about working at Booz Allen.